At CoCo Beauty Salon we use a Natural Organic Skincare Range called Monu. Monu use unique formulations that utilise the special properties of pure, natural ingredients using plants and herbs, minerals and essential oils. Monu have created an organic skincare that harnesses the remarkable recuperative power of nature to soothe, nurture and protect your skin and refresh your inner being with a range of natural skin care products, anti ageing & organic skin care products. And as you’d expect, no Monu formulation contains damaging chemicals, artificial perfumes, or synthetic colours. They are also not tested on animals. 35 mins - Your skin is cleansed, toned and exfoliated. A mask is then applied. Finally a protective moisturiser is applied complimenting this facial. 55 mins - ‘A little more luxury’ this includes an express facial as above with a fabulous chest, shoulder, neck and face massage. 60 mins - Includes a hot compress and uses products containing fragrant essential pre-blended oils, extracted from specially selected plants. 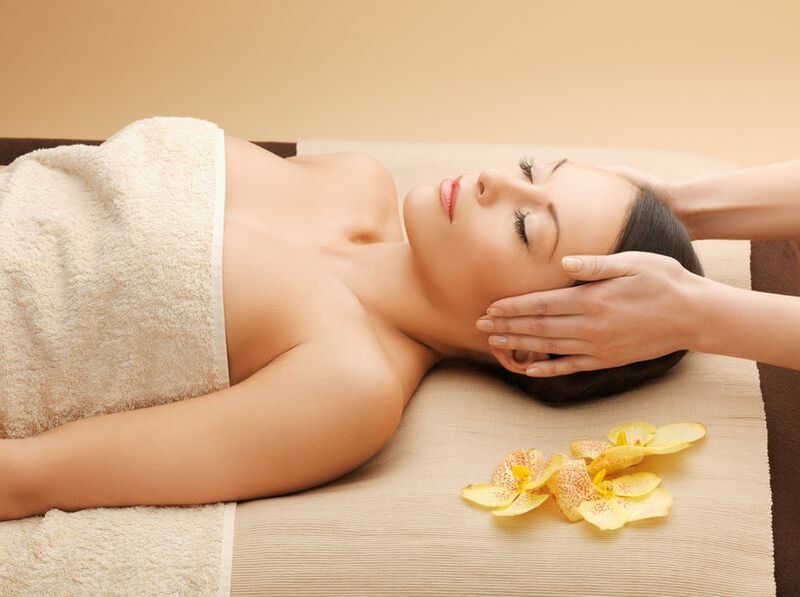 A fantastic massage which includes your scalp compliments this facial. 60 mins - Designed to reduce the signs of ageing using a highly concentrated collagen mask. This facial among other benefits improves the skins ability to hold moisture by up to 60%. If a course of collagen facials is followed wrinkle depth is improved by up to 40%.